There are only 8 more days left to get these products.... The stamp and die bundle is amazing... The watercolor pencils are definatly a must!! 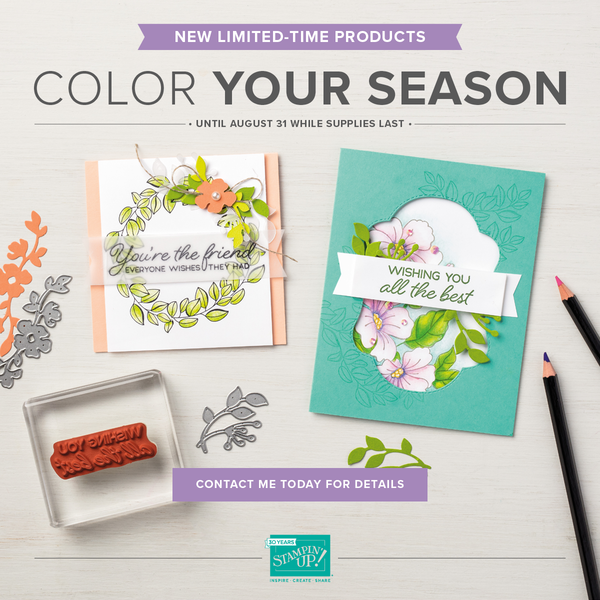 Stampin'Up may or may not gring them back in future catalogs, but I, personally would not take a chance as these colors are truly amazing!! I know I will be using this entire bundle in may of my cards and projects as it is so versatile! Thank you for allowing me to share what I love! I would be so grateful if you would order your products from my online store as it allows me to continue to share my passion for papercrafting by bringing you ideas, tips, and techniques through my blog. As always, please reach out to me via email or comment on this blog as I am always available to help!